Looking for movie tickets? 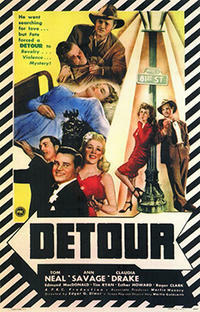 Enter your location to see which movie theaters are playing Detour (1945) near you. A nightclub piano player (Tom Neal) hitchhikes to the West Coast and soon figures into two deaths. Edmund MacDonald Charles Haskell, Jr.